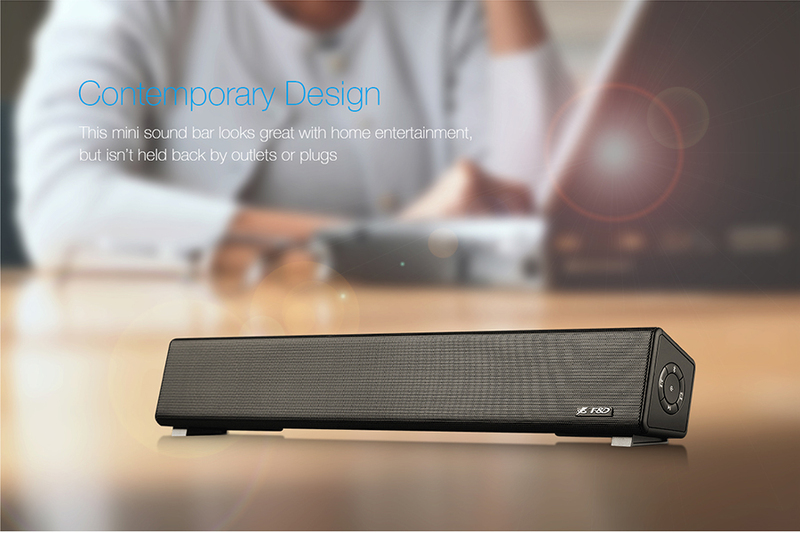 Ambience the music listening experience with New F&D E200 Plus Bluetooth Soundbar by on touch. 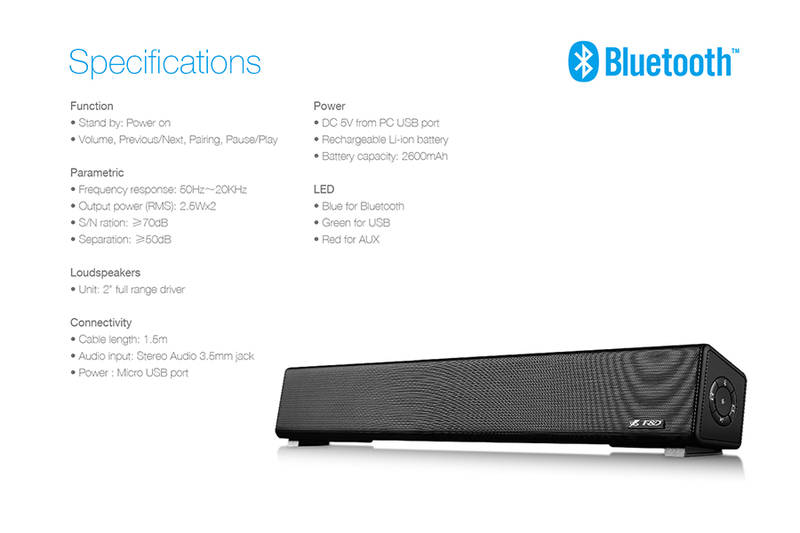 Featuring Bluetooth connectivity, the soundbar lets you wirelessly pair your tablet or smartphone to play music. F&D E200 Plus delivers superior sound quality that is sure to enhance your music listening experience. 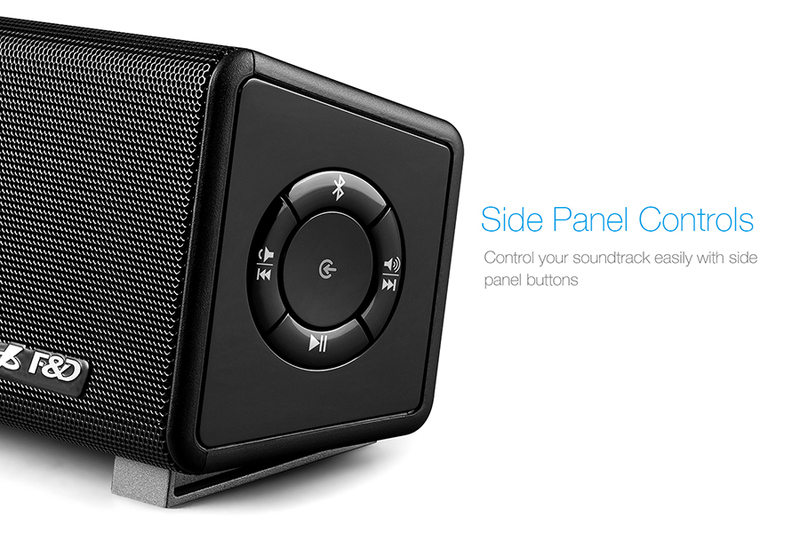 It has a compact and lightweight design that makes it easy to handle and extremely portable and best sound bar. 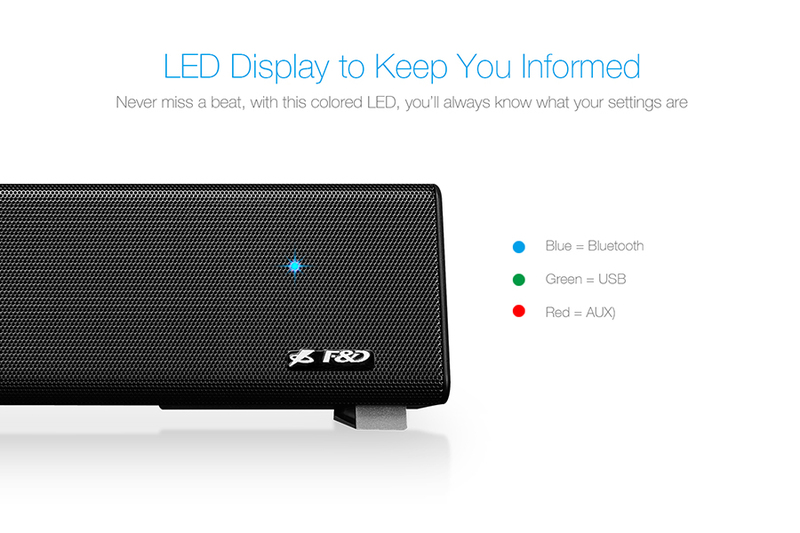 F&D E200 Plus Bluetooth Soundbar comes with contemporary design featuring integrating 2.0 speaker with Bluetooth 4.0 Connectivity to enjoy music wirelessly. F&D E200 Plus built with robust bass and 2 inch full range driver for beautiful sound quality in all audio ranges. 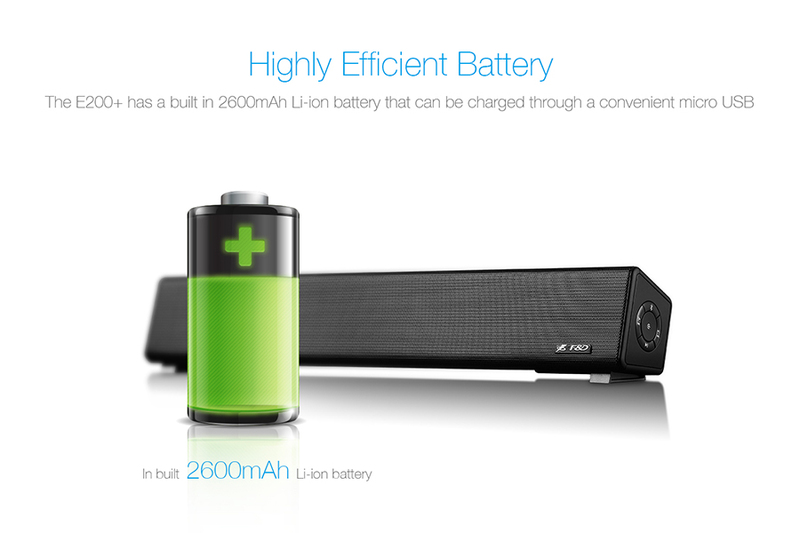 It comes with 2600 mah power full battery for 5 hours continuous listening and can be charged through USB cable which makes it extremely portable. 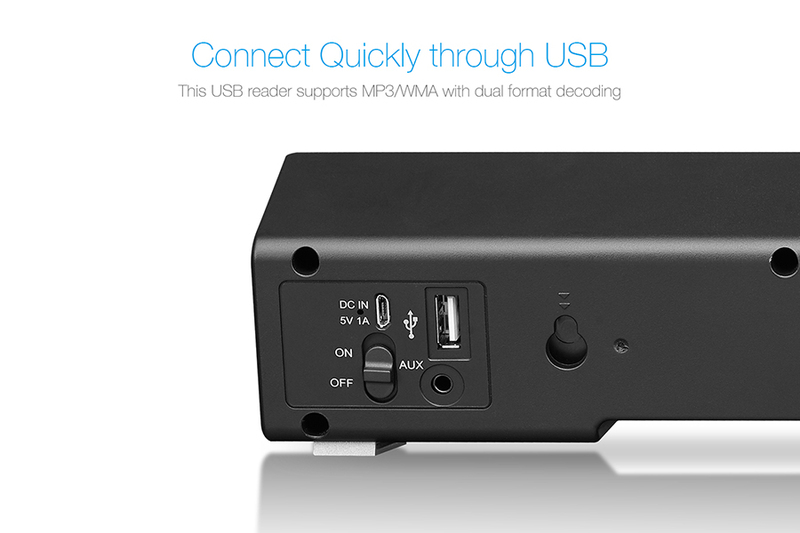 Apart from Bluetooth 4.0 the F&D E200 Plus offers USB and AUX cable. This means you can connect this with your Computer,TV,Mobile etc. Colours Led makes it more diligent and keep you informed with the settings.